Full color graphic panels make this a truly impressive trade show display. The EZ 20' GullWing includes four LED lights and two hardshell cases* that will convert into a podium, complete with a black skirt to complete the look. Add a podium graphic wrap to bring a new dimension to this already unique display. 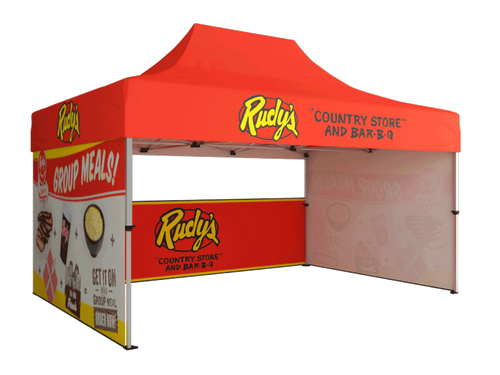 Best of all, the Gull-Wing gives you a chance to showcase two unique sets of graphics, or present it as one large effect based on your companies products and offerings at the next trade show or event.